In a traditional society like India, art is an integral part of the general life of the people. The urge to express, communicate and share something beautiful gave birth to performing arts. Folk performing art is changing its structure, continuously modifying itself to the needs of the changing situations making it functionally relevant to the society. All this has been effectively brought out in the book by the author Durga Das Mukopadhyay who is a faculty member of the Delhi University and is a scholar in performing arts tribal culture and communication. Durgadas Mukhopadhyay, a faculty member of the Delhi University is a scholar in performing arts tribal culture and communication. He has been editing the journal "Minimax", a educational and ethnographic films to his credit which were produced for Indian and foreign networks. Dr. Mukhopadhyay' s doctoral work is in tribal economy and culture. The University of Rome, Italy had appointed him as Contract Professor. He has also lectured extensively in other countries. The creative works of Dr. Mukhopadhyay include over 200 presentations on Folk Dance and Theatre in universities and institutions for propagation of tradition culture. The translation of Natyashastra Isoponishad and Vastushastra into English have been his major literary landmarks. He has written books several important Anthropological Congresses, Ethnological seminars and study groups. Currently, Dr. Mukhopadyay is the President of the International Organisation "SPARTA" (Society for Promotion, Analysis and Research of Tradition Arts). He is also member of the International Federation of Theatre Research international Association of theatre Critics and several other prestigious international Fora of Theatre and Puppetry. He is listed in the world known international Who's Who in poetry and in Marquish Who's Who. The Urge To express communicate and share something beautiful gave birth to performing arts. 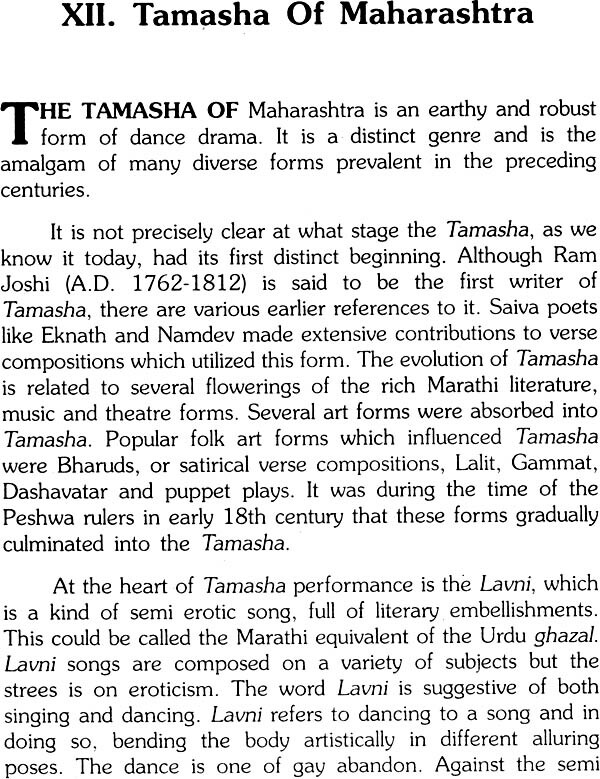 In this process, the living progressive impulse to the timeless universal gets a coherent shape in creative artistic process particularly in the field of folk performing arts. Folk art is functional and spontaneous. Every activity in the village has its relevant music dance or continuously over centuries modifying itself to the needs of the society. Tradition is the process of the transmission of age-old values and the contextual manifestation behavioural and interpretation of the universal. Tradition is not only a repetitive pattern or some persistent symbol or motif in community culture; it is also an assertion of an identity a revival and regeneration of the life-force of the community. The traditional performing art is an aesthetic component. The traditional performing art is an aesthetic component of the constant concept of belongingness and affinity in a cultural context. In traditional of belongingness and affinity in a cultural context. In traditional societies art is an integral part of the general life of the people. The Indian society is a complex social system with different castes classes creeds and tribes. The high rate of illiteracy added to the inadequacy of mass media impedes reach to almost 80 per cent India's population who reside in village. Compartmentalization is the peculiar feature of the modern industrial mass society. When applied art is differentiaded from fine art and when art itself becomes a special intellectual occupation of a sophisticated elite the existence of tradition present difficulties. If art becomes a specialized vocation the urge to deny tradition in viewing art as a totality becomes storing and often leads to a myopic representation of life in a creative medium. In the process of cultural change innovation has a special role. The roots are unchanging; the process is continuous yet the fusion of newer concepts and ideas regenerate newer forms of creative expression. It is the same tree with the root. It is the sap which unfolds itself into variety of leaves and flowers. The essence of creative existence manifests itself in many forms. The degree of innovation depends on the degree of the evolution of society and its transmission implies the value judgement about the desirability or superiority of some transmitted elements from the past. Unless there is a strong parameter like religion or social consciousness the whole process of continuity of culture becomes chaotic. The essential human element gets lost in the age of the spontaneity freedom of design and the imagination of the creative artist change is characteristic of all cultures becomes chaotic. The essential human element gets lost in the age of the machine and industrialization imposing limitation on the creative artist. Change is characteristic of all cultures but the rate and direction of change vary considerably. The factors that influence the direction of such changes are the degrees to which a culture encourage as well as approves of flexibility and the particular needs of the culture at a specific point of time. Even when the cultural changes are the supposed to be beneficial it may be difficult for an individual in a society is guided by certain norms and beliefs. What is required for social change and development is a change in the beliefs and the value systems of the individuals making them more adaptive and responsive to organic development and growth. This is the role of the communicator in the society. The communication potential of Indian traditional performing art has been proved time and again by many instances of importance. Alha the popular balled of Uttar Pradesh and it counterparts like Laavani of Maharashtra, Gee-gee of Karnatake Villupaattu of Tamil Nadu and Kabigan of Bengal which changed their content and focus depending on the contemporary need, were effective in arousing the conscience of the people against the colonial rule of the British. The performer of folklore knows-through he may not be overtly aware of such knowledge-a set of rules a system of communication a grammar in which the relationship between are in constant interplay transforming symbols and metaphors styles and structures themes and forms in response to social variables of a situation. From the perspective of the contextual approach to folklore in which its communicative attributes are primary not only does it make good sense to base the meaning of a listener but also to consider the meaning of messages as interdependent upon their actual communicative events. There are six different types of puppets theatre like string puppets rod puppets shadow puppets glove puppets etc. and are found in different parts of India. The marionettes of Rajasthan who travel from one village to another. The age-old value system the idea of right and wrong is represented by stylized movements and patterns through symbols fantasy and entertainment. The manipulator uses the puppets as a medium to express and communicate ideas values and social message. Puppetry is a natural development of story telling and religious and social preaching prevalent in India. Puppetry is India is a flexible from of traditional communication. It has been successfully used by government departments and voluntary organizations for development of communication adult education health and sanitation and family planning. The song and Drama Division of the Union Ministry of Information and Broadcasting was set up in 1954. It utilizes live entertainment media for creating awareness among the masses in rural India. Special stress is laid on themes like prohibition, eradication of untouchability family planning principles of democracy fundamental rights rural health schemes small scale industries agricultural teachnologies adult education different aspects of socio-economic change. Different departments of central and state Government tried to identify treat and utilize traditional performing arts as vehicles of development communication. Also other public sector enterprises like life insurance Corporation of India small saving directorate and nationalized banks have used successfully some of the flexible performing arts like puppet theatre and katha to propagate their policies. Traditional art forms have survived for centuries and they will survive in the future due to their flexibility. They could be the media for social change in rural India. Folk arts being functional interpersonal and having a contextual base would be able to carry the message of change development and environment awareness as Rabindranath Tagore put it aptly "All traditional structures of art must have sufficient degree of elasticity to allow it to respond to varied impulses of life delicate or virile to grow with its growth to dance with its rhythm.